Private investigators Liz Talbot and Nate Andrews have worked their share of domestic cases. So when Tammy Sue Lyerly hires them to find out what her husband is hiding, they expect to find something looney but harmless. After all, this is the guy who claims to have been a DEA agent, a champion bull rider, and a NASCAR driver. But when he turns up dead the morning after Liz and Nate deliver incriminating photos, Tammy Sue becomes the prime suspect. 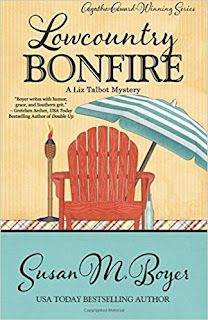 Questioning the truth of Zeke Lyerly's tall-tales, Liz and Nate race to uncover small town scandals, long buried secrets, and the victim's tumultuous past to keep Tammy Sue out of jail and the case from going up in flames. PIs extraordinaire Liz Talbot and Nate Andrews have been hired by Tammy Sue Lyerly to find out if her husband Zeke is having an affair, even they're surprised when they tell Tammy Sue that Zeke has indeed been doing the horizontal mambo with a local bimbo. Not so much surprised by that, but the fact that Tammy Sue is standing outside in her yard - across the street from Liz' parents home - setting fire to Zeke's prized Mustang and screaming wildly. Also in attendance is Liz' brother Blake, the island of Stella Maris police chief, the volunteer fire department, and what seems like half the town itself. But what no one expects is when Blake orders Pete Carter to open the trunk in order to prevent an explosion - and finds the body of Tammy Sue's wayward husband. How he got there and why is a mystery, and with Tammy Sue seeing him and fainting dead away, the mystery only deepens. Liz and Nate are now employed by the town to investigate, and with Tammy Sue as the only suspect, Liz knows better. While the woman may have torched her husband's car, she knows there's no way she would have murdered the man she loved. 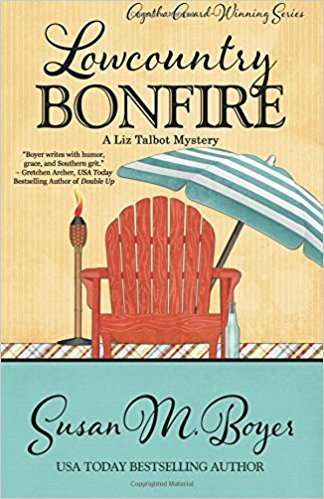 This is the sixth book in the Liz Talbot series, and as such, the author does not disappoint. She dives right into the action from the beginning with Zeke's body discovered almost immediately. Now this could be a detriment, since we don't get to know the man; and oftentimes when this happens we don't care one way or another about the dead person. Do we like or hate him? Is he a jerk who regularly cheats? Is he a nice guy who was in the wrong place at the wrong time? But have no fear - as the story progresses, so does the life of Zeke. We learn all about him, his history, his relationship with his wife; and this is the meat of the story. Yes, we're out to find a killer, the same as Liz; but we also discover things about Zeke that bring him to life after death. And this, my friends, makes all the difference. We learn who he was, what he felt and thought; and because of this, there is a sorrow to his death that makes us as determined as Liz to find a murderer. The mystery is raw, driven, and well thought out; secrets are discovered and even the nicest seeming people become suspects. In between all of this, we are treated to southern hospitality on Stella Maris; with people who are concerned about manners and the fact that you must eat - a lot - to maintain your strength and sanity; and any breach of etiquette is considered a sin. It is a delightful addition and with just enough levity to keep the story from being too dark. And, of course, we have Colleen, the ghost of Liz' best friend whose mission is to protect Stella Maris from interlopers and also to help Liz - when she can. Though not as prominent in this book as in others, the few scenes she does appear in are memorable. When all is said and done, the killer finally caught and truths discovered, we learn that all actions have an equal reaction. And what might seem like harmless fun may cause more than pain. Cruelty comes in many forms, and mindless cruelty is the worst of all. Highly recommended, and I eagerly await the next in the series. The last thing Val needs in her life is an unsolved murder, especially when the victim, an actor famed for impersonating Edgar Allan Poe, happens to be dressed exactly like her Granddad. To keep an eye on Granddad, whose latest job takes him to the home of Rick Usher, a local author inspired by Poe, Val gets herself hired as a cook in Rick's House of Usher. When she discovers the actor wasn't the only one doing an impersonation, separating the innocent from the murderous becomes a real-life horror story. But Val must decipher a killer's M.O. sooner rather than later...or she can forget about finding poetic justice. Val Deniston lives with her grandfather in Bayport, Maryland and runs a cafe in the local fitness club, and does catering on the side. While helping her friend Bethany search for a wedding dress, they see a man who resembles her grandfather's new look - black coat, beard, tinted glasses - and thinks it might be him. When the man falls in front of a car, she dashes toward him, relieved her fears were unfounded, but still helping give him CPR. Unfortunately, no amount of CPR could save the man, still unknown to her and the people nearby. Later that night she she finds out from her boyfriend Gunnar the man's name - Emmett Flint, an actor in the same troupe as Gunnar. 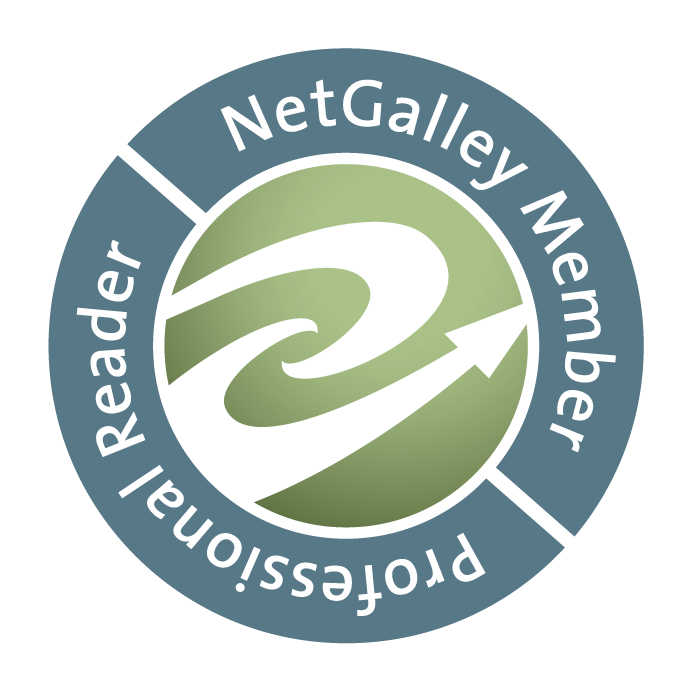 When Val goes to her latest job, a book club, it's when she's serving dessert that she sees the "noted author" invited is not only not the author, it's her grandfather Don who, for some unknown reason, is impersonating Rick Usher, the author in question. Rick has made a career of writing in the style of Edgar Allan Poe and has quite a group of followers himself. But when she questions his assistant Clancy, also attending the dinner, she discovers only that 'Rick' is supposedly hoarse from an ailment and Clancy is answering all questions. As a huge Poe fan, I once made a trip to Baltimore just to visit his grave, and own all his books (and wrote an essay on him while in school) so this book was one I was looking forward to reading. 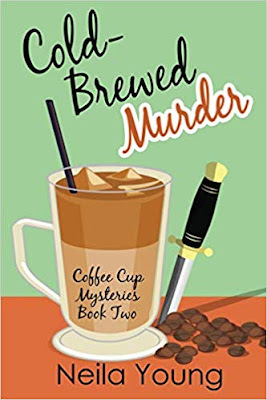 While the plot had interesting points, and I did like the fact we have the murder almost immediately - which is always a nice thing so you aren't subjected to pages and pages of needless detail - it also moved slowly for the first quarter of the book. 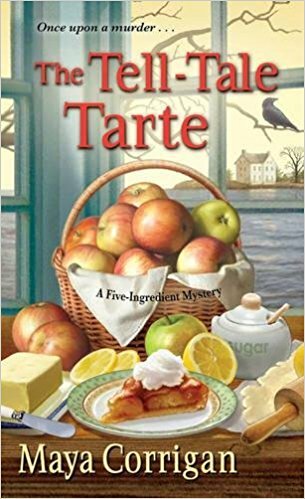 Reading further, I was somewhat torn; partly because her grandfather seemed a bit of a con man to me: he used her recipes to get a job writing a food column for the newspaper, and then expects to continue so he can write a cookbook. This did not endear me to the man, and grandfather or not, she should have set him straight about who gets the credit and where, especially since he's secretive on other things as well. He seemed more like a "user" than a loving grandfather. It also seemed like they were nothing more than business partners (and not very equal-sided, either). As for the relationship between Val and Gunnar, there doesn't seem to be any "oomph" attached. They just seemed boring when they were talking to each other. Eventually the suspect list was narrowed down to a select few, and then you have the meat of the story. Putting it together at the end was interesting, and it all came together nicely at last. Recommended.